What is social control? How do social controls become part of everyday life? What role does the criminal justice system play in exerting control? Is the diagnosis and treatment of mental illness a form of social control? Do we need more social controls to prevent terrorist atrocities? In this new edition of his popular and engaging introduction, James J. Chriss carefully guides readers through the debates about social control. The book provides a comprehensive guide to historical debates and more recent controversies, examining in detail the criminal justice system, medicine, everyday life, and national security. Assuming no specialist knowledge on the part of readers, Chriss uses a rich range of contemporary examples to illustrate the ways in which social control is exerted and maintained. The updated edition includes new and expanded discussion of the 2011 Tucson shootings, post-9/11 counterterrorism laws in the transition from the Bush to the Obama administrations, the death of bin Laden, racial profiling, housing segregation and white flight, hate crimes, (counter)surveillance and flash mobs, the diagnosis of conditions such as ADHD, and agents of socialization in the areas of work and consumption, religion, the family, and the mass media. 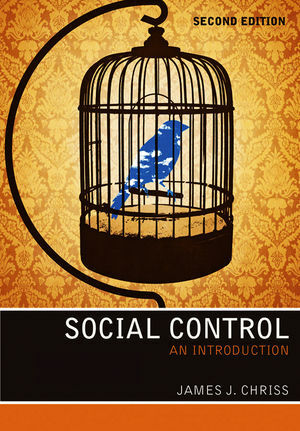 This new edition of Social Control: An Introduction will be essential reading for students taking courses in deviance and social control, and will also appeal to those studying criminology, the sociology of law, and medical sociology. 1. What is Social Control? 10. Conclusion: The Future of Social Control? "A comprehensive guide to historical debates and more recent controversies, examining in detail the criminal justice system, medicine, everyday life, and national security."